TORONTO – The Canadian Football League Scouting Bureau has released its third and final rankings of the top-20 eligible prospects for the 2016 CFL Canadian Draft that’s taking place on May 10, 2016. The list features a new number one in town, as David Onyemata has overtaken Tevaun Smith after dominating at his University of Manitoba Pro Day in March. The CFL Combine reflected plenty of change in the way scouts view prospects, as only four players throughout the entire rankings remain static. 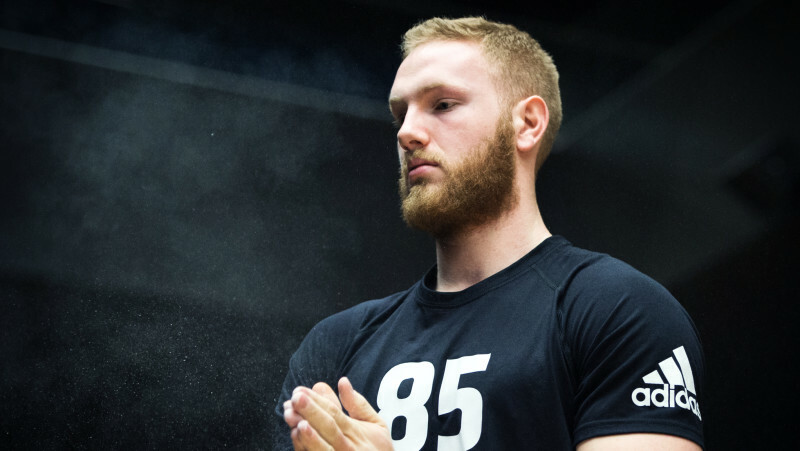 Meanwhile, two new players have entered the top-20, as Simon Fraser offensive lineman Michael Couture’s combine performance solidified his draft status while linebacker Alex Singleton enters the top 10 after only recently getting eligibility. Acadia receiver Brian Jones may have helped his stock the most, using a strong combine performance to rise from 18 to 10, now making him the second-ranked receiver heading into May’s draft. With the May 10 CFL Draft fast approaching, all that’s left now for the top prospects is to wait. 4 (5) Arjen Colquhoun DB Michigan St. Windsor, Ont. 6 (6) Charles Vaillancourt OL Laval Coaticook, Que. 7 (-) Alex Singleton LB Montana St. Thousand Oaks, Calif.
8 (8) Trent Corney DL Virginia Brockville, Ont. 9 (13) Philippe Gagnon OL Laval L’Ancienne-Lorette, Que. 10 (18) Brian Jones WR Acadia Enfield, N.S. 11 (9) Taylor Loffler DB UBC Kelowna, B.C. 12 (12) Juwan Brescacin WR Northern Illinois Mississauga, Ont. 13 (7) Mercer Timmis RB Calgary Burlington, Ont. 14 (11) Dillon Guy OL Buffalo Hamilton, Ont. 16 (-) Michael Couture OL Simon Fraser Burnaby, B.C. 17 (14) Jason Lauzon-Seguin OL Laval Pointe-Claire, Que. 18 (16) Elie Bouka DB Calgary Laval, Que. 20 (19) Doug Corby WR Queens Burlington, Ont. Please note: The number in parentheses is the player’s ranking from the last CFL Scouting Bureau published in December 2015. J.P. Metras Trophy winner and Manitoba Bison David Onyemata overtook the first ranked position in the April edition of the CFL Scouting Bureau. The All-Canadian at the defensive tackle position racked up 46 tackles (31 solo) as well as five sacks and 7.5 tackles for a loss. Onyemata also participated in the 2016 East-West Shrine game earlier this year in Florida. Following Onyemata is Toronto native Tevaun Smith. The Iowa Hawkeye receiver finished second on the team with 32 receptions and 564 yards while scoring three touchdowns including an 85-yard reception versus Michigan State in the Big 10 Championship game. In the previous two rankings, Smith topped the list. Boston College defensive lineman Mehdi Abdesmad moved up one spot to the third position in the top prospects rankings. The Montreal, Que. native tallied 49 total tackles (35 solo) and 5.5 sacks during his senior year with the Eagles. His impressive season with the Eagles was recognized with an invite to the NFL Combine. Arjen Coquhoun climbed up a spot into fourth on the April prospect rankings. The Windsor, Ont. native finished his career at Michigan State compiling 62 tackles (39 solo), 15 pass deflections, two forced fumbles and a fumble recovery. Rounding out the top five is Oklahoma Sooners offensive lineman, Josiah St. John. 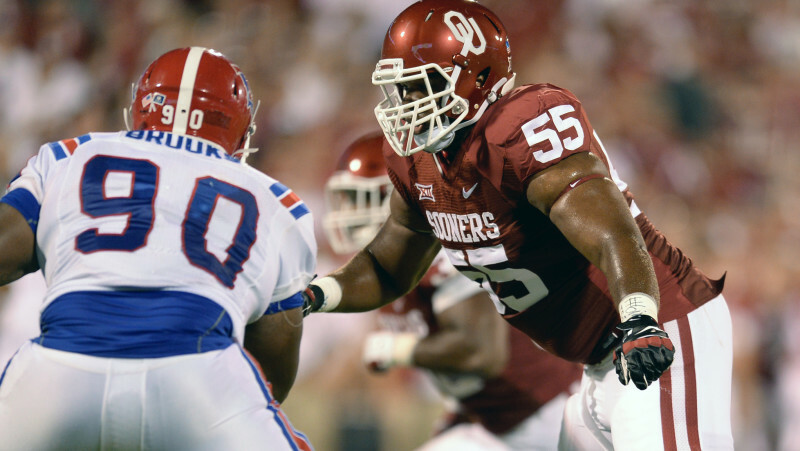 The 6-foot-6, 308-pound tackle played two seasons in Norman, Okla. playing in 15 games and starting in four (all in 2015). The Toronto native was ranked third in the December rankings. Rounding out the top 10 are Laval offensive lineman Charles Vaillancourt, Montana State linebacker Alex Singleton, University of Virginia defensive lineman Trent Corney, Laval offensive lineman Philippe Gagnon, and Acadia receiver Brian Jones. The April rankings include six offensive linemen, five receivers, four defensive backs, three defensive linemen and one linebacker and running back. 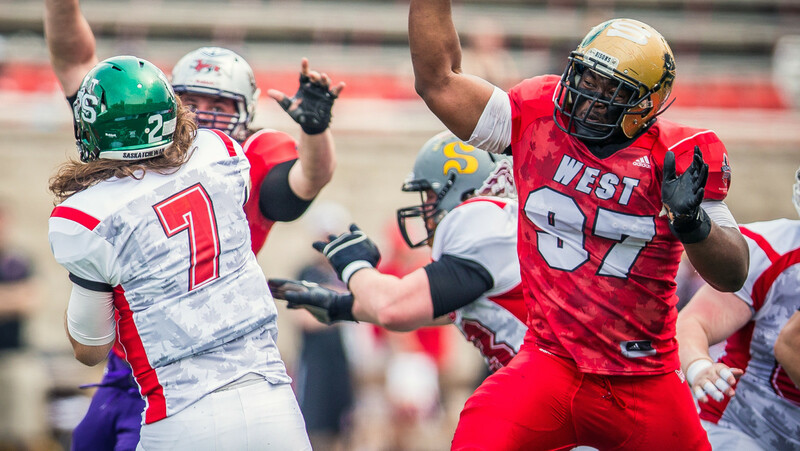 There are 16 universities and one Canadian Junior Football League (CJFL) team represented on the list with two schools featuring multiple selections: Laval (3), and Calgary (2). 10 NCAA schools and six CIS schools are represented on the list. In the April rankings, two players joined the top-20 list; Alex Singleton (No. 7) and Michael Couture (No. 16). Acadia’s receiver, Brian Jones saw the largest climb post-CFL Combine, where he went jumped from No. 18 in the December rankings to No.10. Alex Mateas, the 2015 CFL Draft’s first overall selection, was ranked third in the 2014 April rankings. All 20 players from last season’s April CFL Scouting Bureau rankings were selected in the 2015 CFL Draft including eight first round selections. The 2016 Canadian Football League season kicks off Thursday June 23 when the Toronto Argonauts host the Hamilton Tiger-Cats at their new home at BMO Field in Toronto. It culminates Sunday November 27 with the playing of the 104th Grey Cup, also in Toronto.